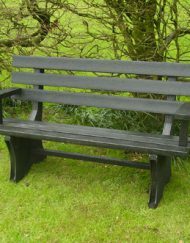 The 1.5m full bench with 2 spar back and arm rests is available to order today all prices shown are inclusive of delivery to the UK mainland. 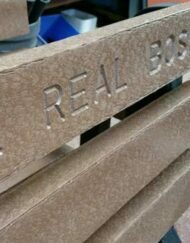 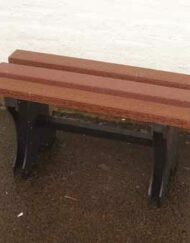 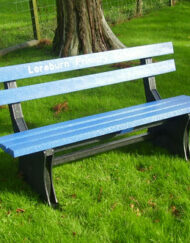 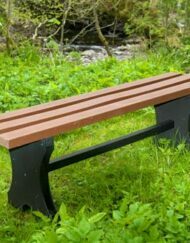 Our benches have become very popular with the local authority, simply as they are very strong, weather durable, and need no treatment, but also as they are made from recycled plastic. 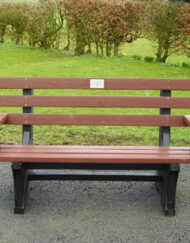 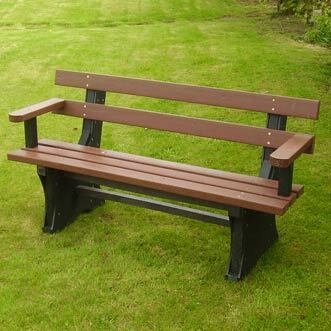 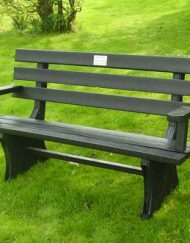 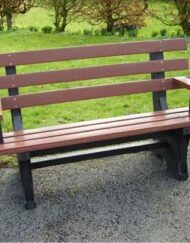 A memorial plaque can be added to any of the Solway products recycled plastic bench range including the 2 spar back and arm rest model. 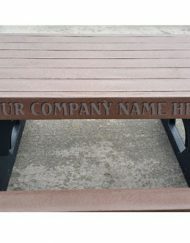 The plaque may be added with an inscription of your choice. 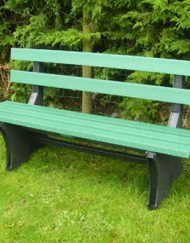 The 1.5m full bench with 2 spar back and arm rests is made of 100% recycled plastic therefore it cannot rot and is extremely durable. 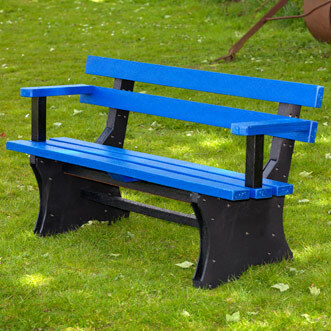 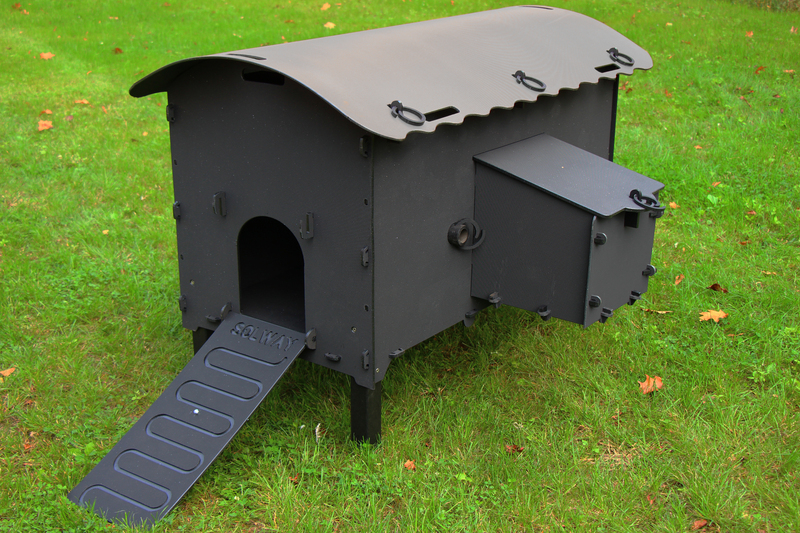 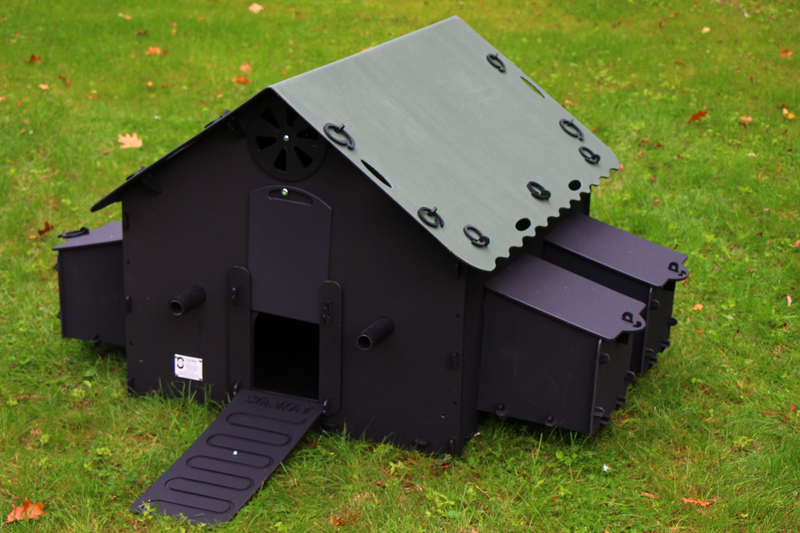 It is solid but still portable and robust enough to withstand many bumps and scrapes.